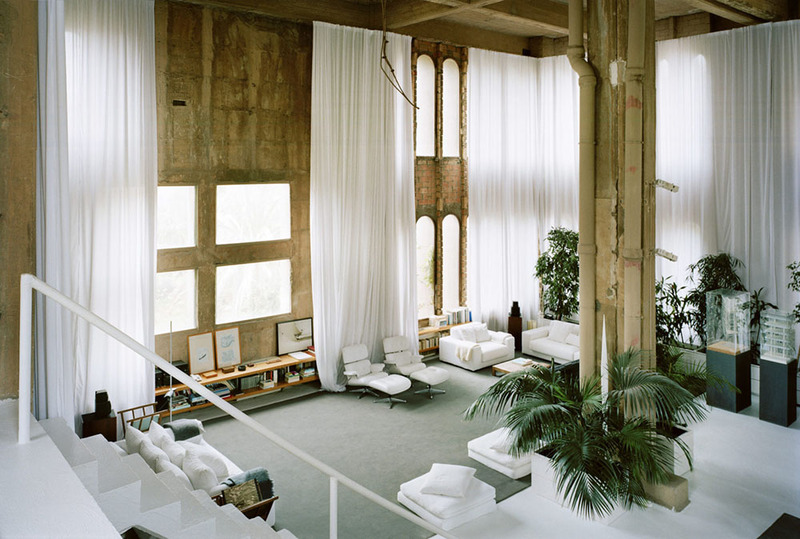 In 1973 Spanish architect Ricardo Bofill stumbled upon a cement factory in Catalonia, Spain, an enormous compound of silos and buildings that covered nearly two and a half miles of underground tunnels. 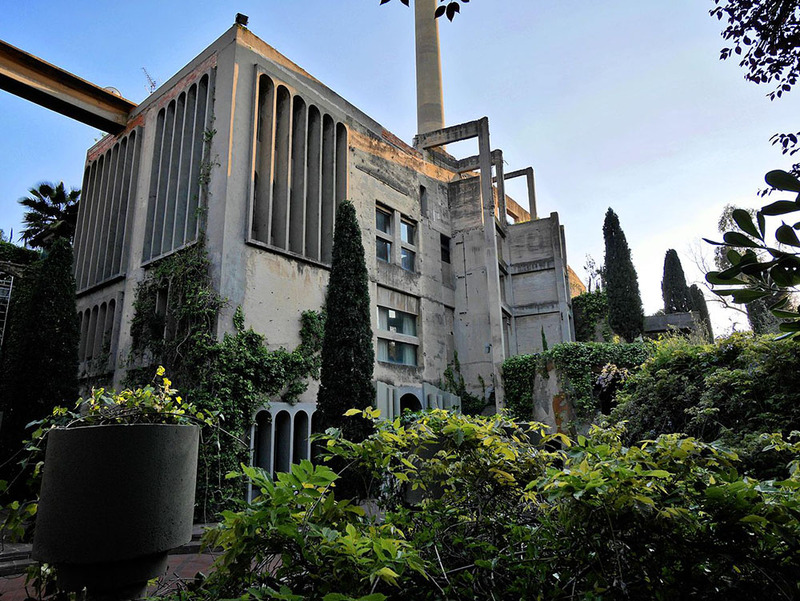 Bofill decided to buy The World War I era structure and its grounds, making modifications to the original structure in order to create an all-inclusive live/work space that would unite the Surrealist, Abstract, and Brutalist elements found in its industrial form. Original construction to transform the sprawling series of buildings took a little over a year and a half. After the dust cleared from the jack hammers and dynamite, Catalan craftsmen worked to add gardens and purpose back into the abandoned compound. 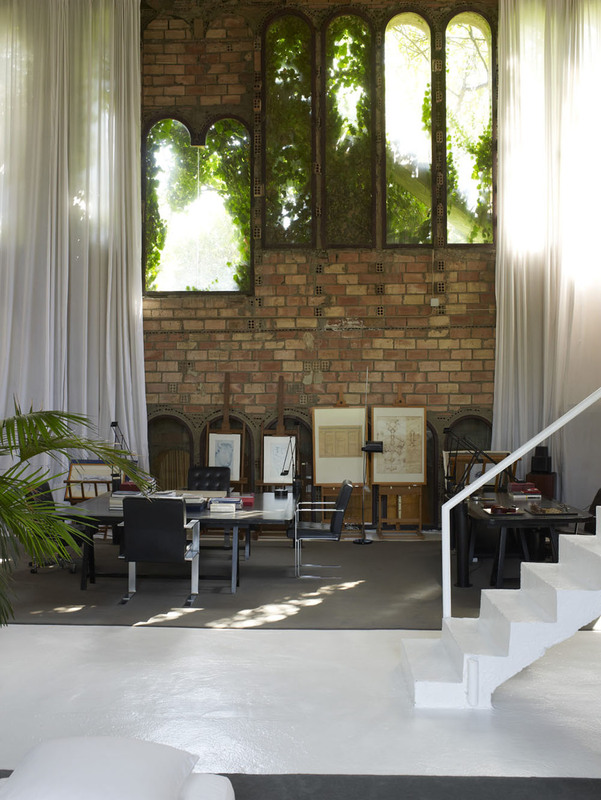 Today the factory holds a cathedral, model workshop, archive rooms, residence, and studio, a workspace for Bofill’s firm spread over four floors in the factory’s silos and connected by a spiral staircase. Despite over forty years in the making, the entire project is constantly evolving and is one that Bofill never sees as being fully completed. 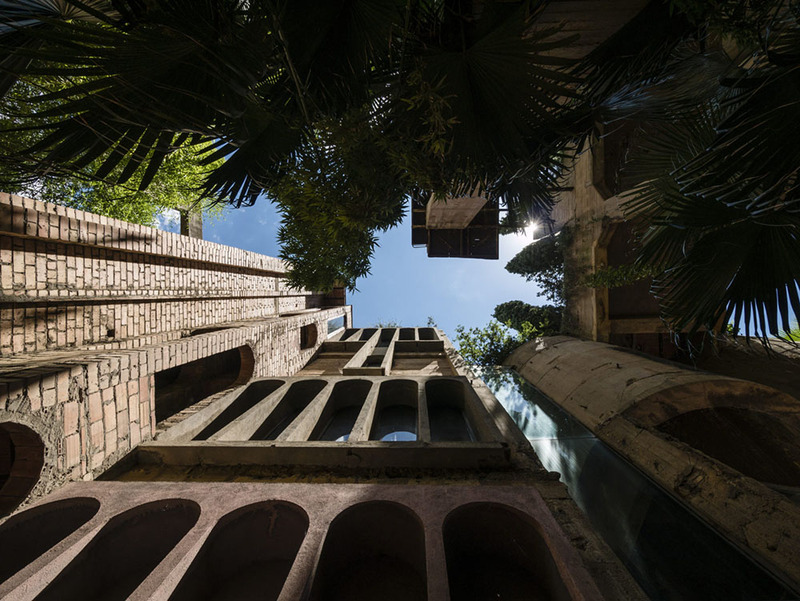 With continuous tweaks, Bofill has created a perfectly programmed existence, a ritualized lifestyle that goes against his previously nomadic early life. In awe of this shot by photographer Stephan Geyer who currently lives and works out of Dubai. 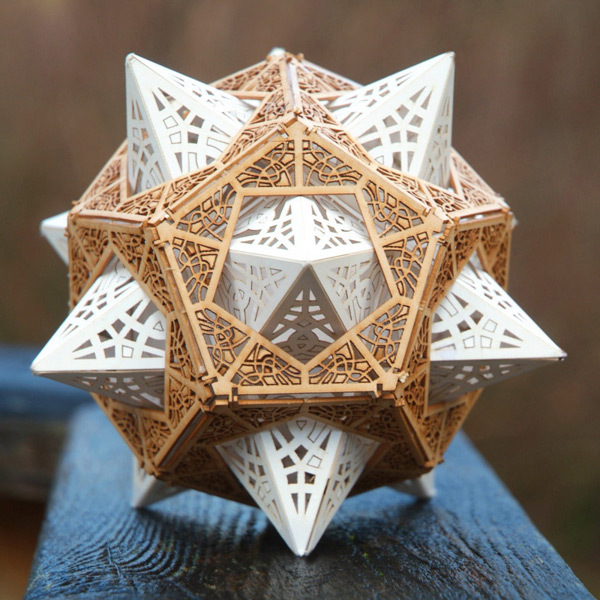 More work on Flickr. Photographer Alan Sailer spends an inordinate amount of time photographing objects meeting a violent demise by means of high speed projectiles, high voltage explosions, and sometimes just hurling things at a wall. I love the other-worldly appearance some of the objects take on, especially the pear that appears to be liquifiying from the inside out. There are thousands of photos in his Flickr stream, the above are some of his most recent, and here are some of his favorites. The Singapore Eye Research Institute commissioned Jorg Sundermann to capture these abstracted photos of eyes to help raise awareness for eye research. See the entire series over on Behance.